Gong Xi Fa Cai! Or Happy New Year the Chinese way. A brand new year ushered in today in the Chinese lunar calendar. 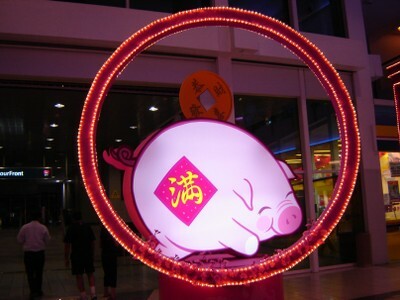 Welcome to the 'Year of the Pig'. May prosperity and happiness rain on you. And may pigs start flying! !